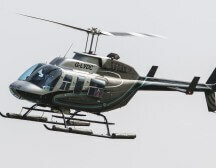 Our Helicopters are set to fly passengers to the 2018 Goodwood Festival of speed held at Goodwood race track which is located near Chichester on the Southern coast of England. The rural location of the race track means that very year substantial traffic congestion occurs for the masses but not for the people that charter our helicopters. See more information on Goodwood helicopter charter and based aircraft at Goodwood Airport. A Helicopter from London Battersea Heliport takes around 25 minutes as opposed to driving which in traffic is more like 2 to 3 hours. A helicopter charter from London means that you can enjoy the festival of speed without the grind of the traffic. The Festival of speed event is the largest Motor Racing Garden Party in the world and attracts the greats of motor racing along with celebrities, heads of state and politicians. Many of which are flown in on our helicopters. Based private planes are available from or to Goodwood when a helicopter is just not enough. King Air 90, DA42 and Piper Chieftens are all able to operate into Goodwood airport. We offer a range of helicopters available to charter from a 3 place Robinson R44, Agusta 109 Grand Helicopters up to the 15 seat Sikorsky S92. The cost of helicopter to Festival of speed depends on your requirement and the best way to understand this is to call one of our Helicopter charter team on +44 (0) 1737 823 733 who will be happy to provide you with the costs of Helicopter charter to or from the Festival of speed from anywhere in the UK. Why not fill out our Helicopter quote or email us fos@charter-a.com .